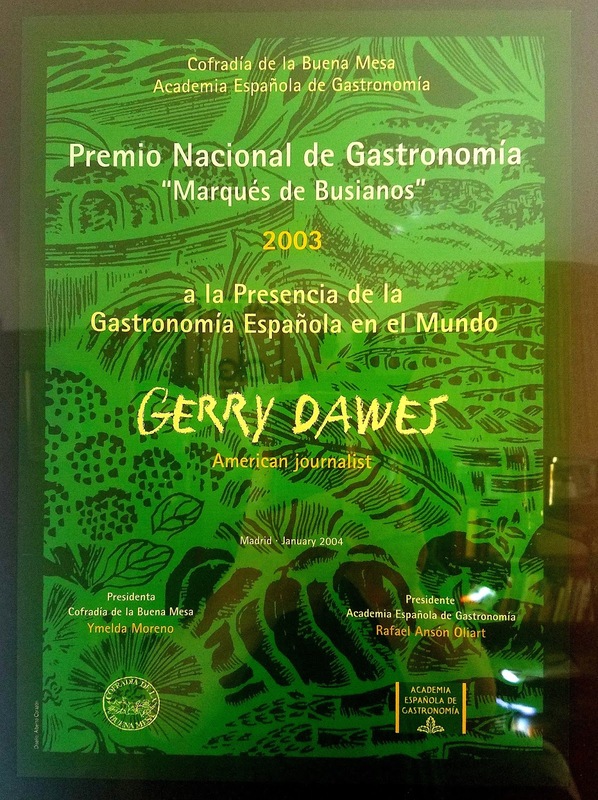 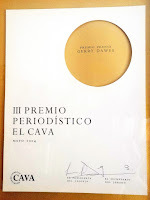 Gerry Dawes is a famous character in the Spanish food and wine scene, both on these shores and in Spain itself. 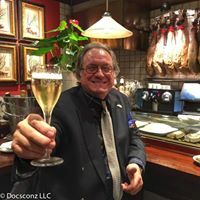 A veteran of the wholesale wine business, he has been traveling around Spain for decades, discovering its best things to eat and drink, and promoting them — the wines above all — in the United States, through personal appearances, interlocking websites (click here for the main one www.gerrydawesspain.com), and guided tours. 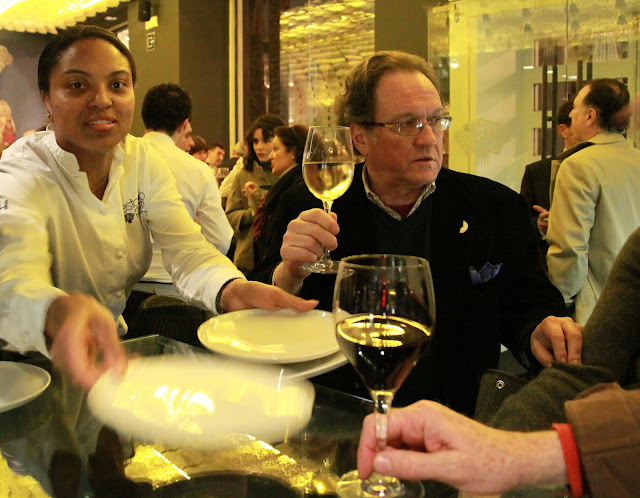 Gerry Dawes at Chef Paco Roncero's Estado Puro in Madrid with a glass of Godello. Photo by Harold Heckle©2014, Associated Press, Madrid. 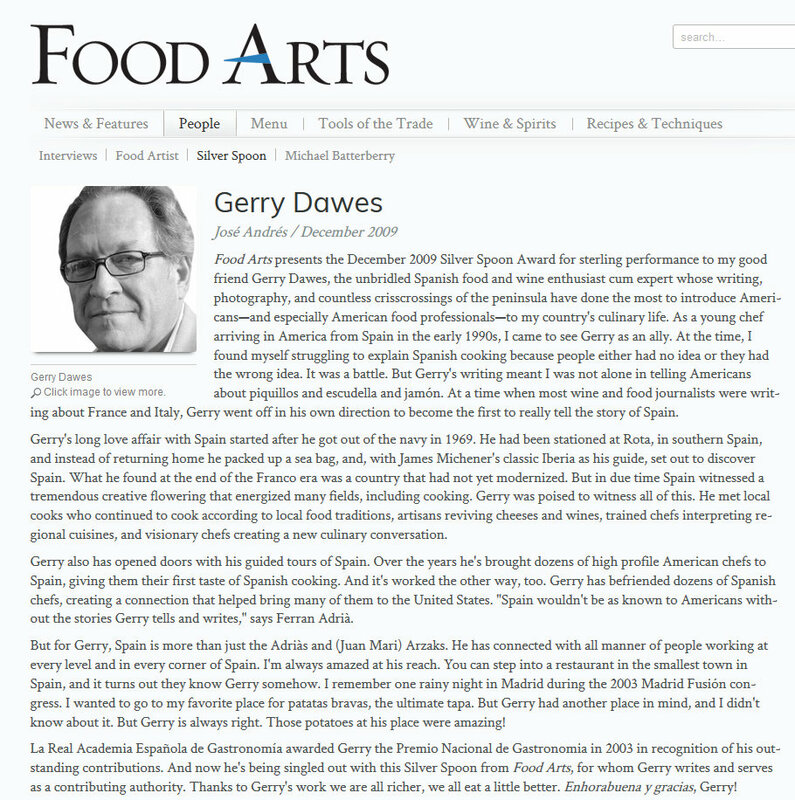 He is a prolific writer and pretty much nonstop photographer (his images of Ferran Adrià, Mario Batali, and other important chefs have appeared on The Daily Meal). 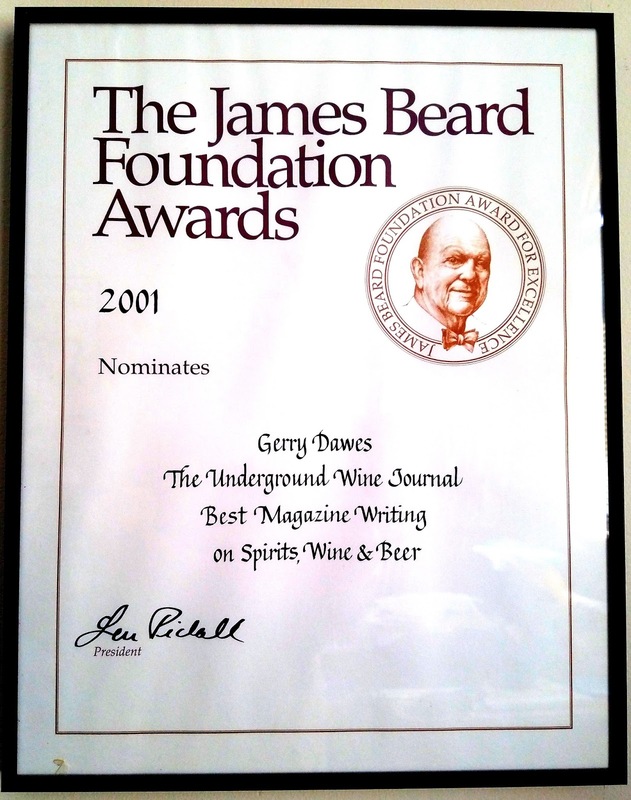 He is highly opinionated — some would say cantankerous — and extremely knowledgeable. 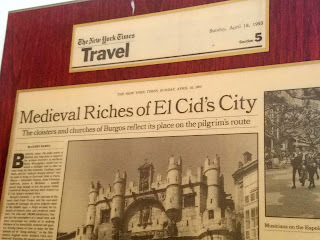 His passion for things Spanish (he knows the country's literature and history and its flamenco almost as well as he knows its gastronomy) is so strong as to seem proprietary; somebody once called him, not without a hint of sarcasm, "the man who invented Spain." 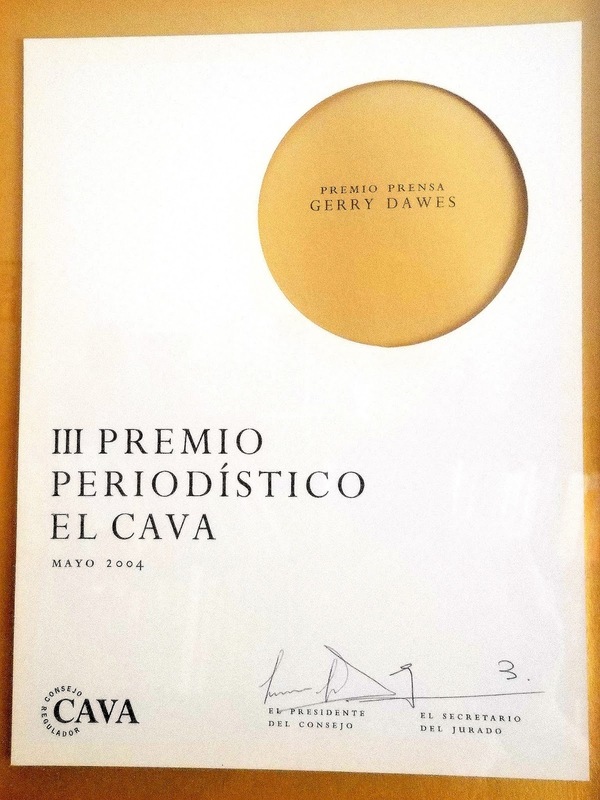 Well, call him what you will, but Dawes has recently gotten back into the wine business, as an importer of small lots made by small producers, mostly in northwestern Spain, and his initial offerings include some bottlings that are nothing less than a revelation. Dawes is forthright about what he doesn't like in wine: He is an outspoken foe of high alcohol, too much oak, insufficient acidity, the over-extracted "fruit bomb" style, and maybe most of all the anonymous could-be-from-anywhere character that all too many winemakers in every corner of the world seem to be striving for these days. 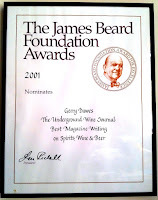 In other words, he hates international-style stuff based on big-name French varietals, usually grown in areas where they have no business being, and vinified in a style that makes one indistinguishable from the next.